We are excited and ready to finally kick off our 2015 season with Comic Cons with the Amazing Arizona Comic Con this February 13th - 15th. We have attended every year of Amazing Arizona Comic Con and have seen it steadily grow. It first started at the Mesa Convention Center and soon needed to move to the Phoenix Convention Center because of the growth. The convention was created by brothers Bill and Jimmy Jay of JayCompanyComics, who wanted to bring something new and definitely "Amazing" and they have created one of our favorites. The line-up of guests and companies have brought many fans to come out and increase in numbers every year. The line up is sure to be another great one with Greg Capullo returning. I remember Greg Capullo's amazing art in Spawn and have always loves his style. 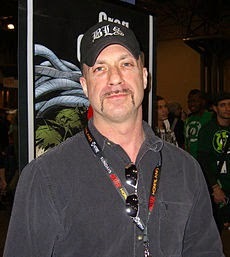 We all know him now for his astounding takeover of DC Comics New 52 Batman. I have definitely loved how he has created a new look to many of the already popular Gotham City characters. Rob Liefeld will also be returing to Amazing Arizona Comic Con. 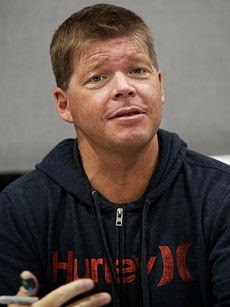 Rob Liefeld is a fan favorite by many and is the creator of Deadpool and Cable of New Mutants and X-Force. Rob Liefeld is definitely a comic legend in helping create Image Comics. Speaking of comic book legends, George Perez will be coming to Amazing Arizona Comic Con. 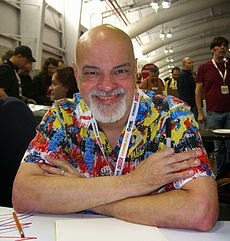 George Perez worked on The Avengers, New Teen Titans, Crisis on Infinite Earths, and Wonder Woman. Brian Pulido returns as well to Amazing Arizona Comic Con. 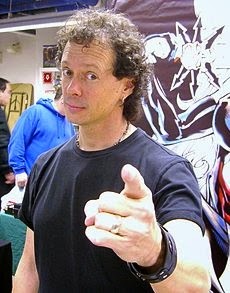 Brian Pulido is co-creator of Lady Death and Evil Ernie. Other "Amazing" guests include Chad Hardin who is the artist who has helped bring Harley Quinn to DC Comics New 52 and Steve McNiven, the artist for Marvel's Civil War, Wolverine's "Old Man Logan", and Mark Millar's Nemesis. Adam Kubert (Ultimate X-Men, Ultimate Fantastic Four, Wolverine), Kevin Eastman (Creator of Teenage Mutant Ninja Turtles), Herb Trimpe (Creator of Wolverine), Steve Epting (Creator of Winter Soldier), and so many more creators. Oh and did we say the Power Rangers were coming? We are definitely getting very excited for Amazing Arizona Comic Con, which is less than three weeks away. Tickets are One Day Pass for $25 and Three Day Pass is $60. VIP packages are still available. Stay tuned for updates and news in the panels, more guests to be added, and fun! !